Heat a saucepan of water to a fast boil, add the soya beans and cook for 4 minutes. Add the asparagus and cook for a further 1-2 minutes or until the asparagus is just tender. Drain well. Heat the vegetable oil in a small frying pan and fry the bacon until crispy. Whisk the olive oil, vinegar, mustard and lemon zest and season to taste. 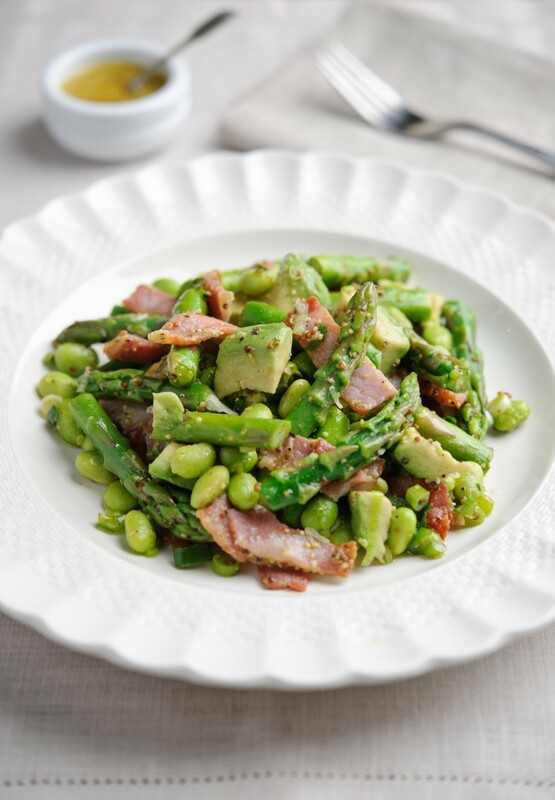 Place the asparagus and soya beans in a bowl, add the bacon, avocado and spring onions. Stir in the dressing, adjust the seasoning to taste and serve.